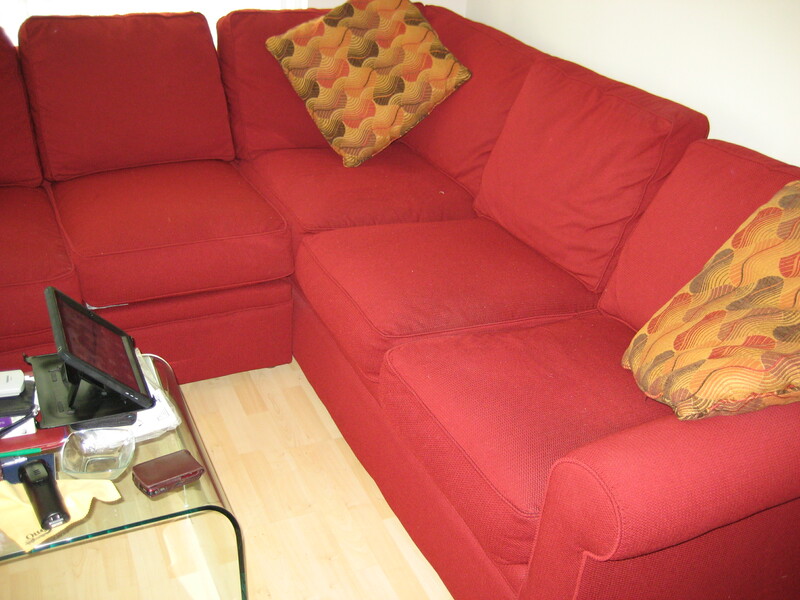 Today I am donating my red couch to a most worthy organization. I picked this couch to go in my new T-dot home. I picked the fabric and the color and the throw pillows. It is the most expensive piece of furniture I’ve ever purchased to date. I started this blog on this couch. I’ve written so many blog posts, tweets, emails, and sermons on this couch. I’ve contemplated the deeper meaning of life while sitting on this couch. I’ve laughed, I’ve cried and I’ve taken some of the world’s greatest Shabbat naps. I can imagine MY MOM sitting on this couch when she would come to visit in T-dot. Fortunately, I know whether or not I am the owner of this couch, I will always be able to imagine her sitting, knitting, laughing, resting her eyes, and just being MY MOM. Goodbye red couch. It has been three great years. This entry was posted in memories. Bookmark the permalink.